Wellpath isn’t the bogeyman. We’re committed to turning Alaska Psychiatric Institute around. It’s time to set the record straight about what is going on at the Alaska Psychiatric Institute (API). As team members at Wellpath Recovery Solutions working to return API to functionality, we believe Alaskans deserve to know the full story, complete with context and accurate information. Alaskans are right to be concerned about what has happened at API, the state’s largest mental health facility – the possibility of API losing its certification and closing its doors was very real not long ago. Fortunately, the regulating agencies gave API a short window of time to put a plan together, which is why we’re here today. Our team arrived at API in February, and since then, four new psychiatrists have been hired at API, with more coming. API just saw its accreditation with the Joint Commission renewed - a huge achievement. API’s new CEO, Matt Dammeyer, formerly with Central Peninsula Hospital in Soldotna, starts in a few weeks. A 400-point transition plan is being implemented, and staff is receiving training required to better serve patients. Collectively, we bring hundreds of years of mental health experience to the table. We strongly believe in providing patients with trauma-informed care and supporting them in their recovery. Together, we are responsible for turning around troubled mental health institutions across the country, including some of the most notorious psychiatric hospitals in the U.S. Our message is this: API’s problems can be fixed. The challenges at API did not emerge overnight. It will take time to address them, but we have overcome similar obstacles at comparable institutions numerous times over the past 20 years. 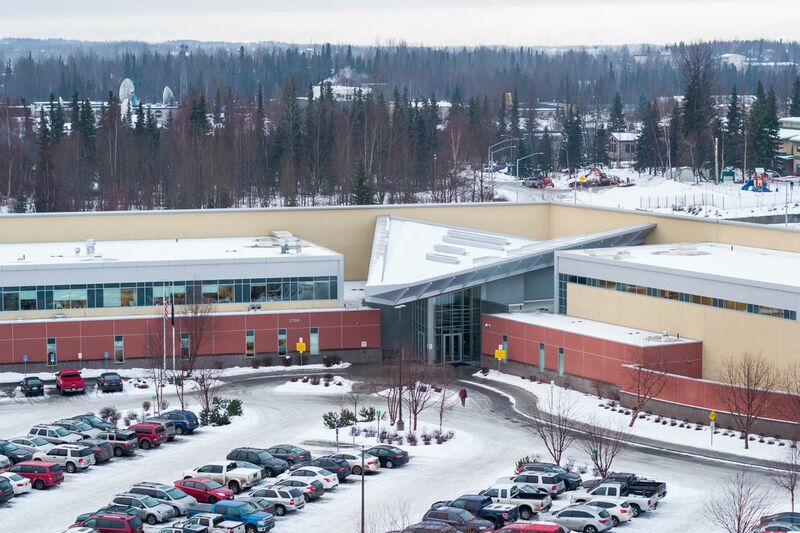 With proper management and implementation of evidence-based and promising practices, Alaskans will once again have access to first-rate mental health care in one of the most beautiful facilities in the country (and we’ve seen them all, literally). Despite our track record of rescuing troubled mental health institutions, some in Alaska are unhappy with the decision to hire Wellpath. Everyone is certainly entitled to their own opinions, but not their own facts. The Wellpath being disparaged by some policymakers does not remotely resemble the company we work for. Let’s get a few facts on the record to clear up misinformation. For starters, the assertion that Wellpath has been the subject of more than 1,400 lawsuits is misleading when divorced from its context. Unfortunately, lawsuits are inevitable when providing care in restrictive environments, and both public and private entities are named in thousands of lawsuits each year. At Wellpath, 93% of the publically cited number of lawsuits was dismissed by the courts as frivolous. Furthermore, this number is based on a ten-year period, which is particularly relevant when you consider that Wellpath provides care to nearly 300,000 patients on any given day and saw approximately two million patients during the past year alone. As for Wellpath Recovery Solutions, we are proud of our record, and at institutions comparable to API, we experienced a single lawsuit in all of 2018 – at API’s current census levels, this would be the equivalent of a single suit every 19 years. No one goes backward in salary; many employees will see a pay increase. All current employees are eligible for benefits from day one of employment. All current employees who meet certain minimum qualifications and can pass a background and drug test will keep their jobs. We have productive relationships with organized labor at multiple locations throughout the United States. Far from the bogeyman some have made us out to be, Wellpath is an honest broker with the track record to prove it. It is why states like California, Washington, Colorado, Florida and Massachusetts partner with us to provide treatment to vulnerable patients suffering from mental illness. We are proud to be the best in the business when it comes to operating effective, efficient and compassionate centers of care for one of the most vulnerable and misunderstood populations in this country. We are confident API can be fully restored to its former status as a mental health institution Alaskans can rely on to take care of neighbors, family members and loved ones dealing with mental illness. Kevin Huckshorn, Ph.D., MSN, RN, CADC, ICRC, is the Director of Evidence Based Programs and Practices for Wellpath. He is a former director of the Division of Substance Abuse and Mental Health (Delaware), and has been associated with Wellpath since 1998. Karen Galen, Ph.D., is Wellpath’s Vice President of Behavioral Health. She has been a Wellpath employee since 2002. Cassandra Newkirk, M.D., is Wellpath’s Chief Psychiatric Officer and a board-certified forensic psychiatrist. She has been a Wellpath employee since 2005. George Gintoli, M.S., is Wellpath’s Senior Vice President of Hospital Administration, a former Director of Department of Mental Health (South Carolina) and the Joint Commission Surveyor. He has been a Wellpath employee since 2005.